Joy without ever experiencing pain or suffering would cease to be joyful. Light cannot be seen without darkness. Heroes, or “the good guys” all have something in their lives that causes them to strive for their heroic acts. If we think of Batman in this sense, we can look back into his past and remember that his parents were killed when he was just a boy. This horrific event planted a deep seed of justice in the young Bruce Wayne and also gave him an authentic hatred for crime in general. His courage, outstanding achievements, and noble character were all birthed out of affliction. Pain and suffering throughout his childhood created Batman…a solution, or personification of justice. He remains afflicted because no matter what the motives, no matter how good he is, no matter the number of criminals taken off the streets, he is still portrayed as a bad man to many in the public eye. Even if you’re killing bad guys…you’re still killing. To quote Batman from the 2008 film, The Dark Night; “You either die a hero or live long enough to see yourself become the villain.” Bruce Wayne, Batman – afflicted by circumstances. Wolverine, also known as Logan…which happens to be my little boy Finn’s middle name. 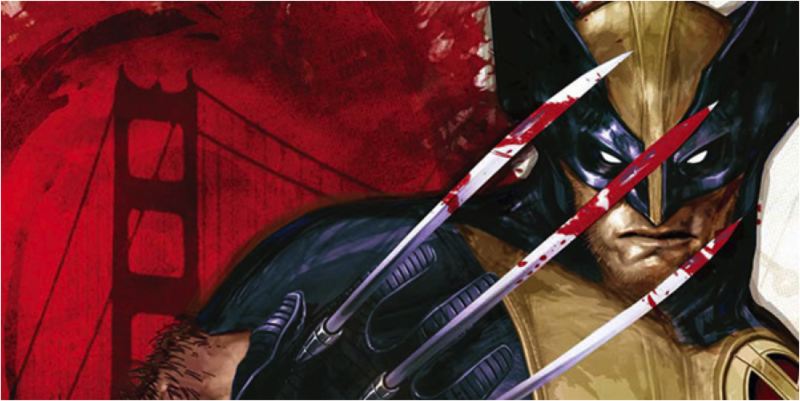 It’s hard to see past the affliction present in the life of Wolverine. He was born with the ability to heal at uncanny speeds, which also slows down his aging process. Match that with another human mutation – razor sharp claws that protrude from in-between his knuckles, and you can see how the government might want to turn a freak like this into a weapon. Logan is afflicted by the longing and desire to just be a normal guy, but he knows that he’s genetically wired for something far more aggressive. Read the comics and a catch-phrase bubbles to the top of who Wolverine really is; “I’m the best there is at what I do, but what I do best isn’t very nice.” Logan, Wolverine – afflicted by design. Peter Parker gets bitten by a radioactive spider and suddenly develops super-human strength, speed, and agility…not to mention a spider sense that can warn him — not unlike when I try to stomp the Brown Recluse I see crawling across the carpet. 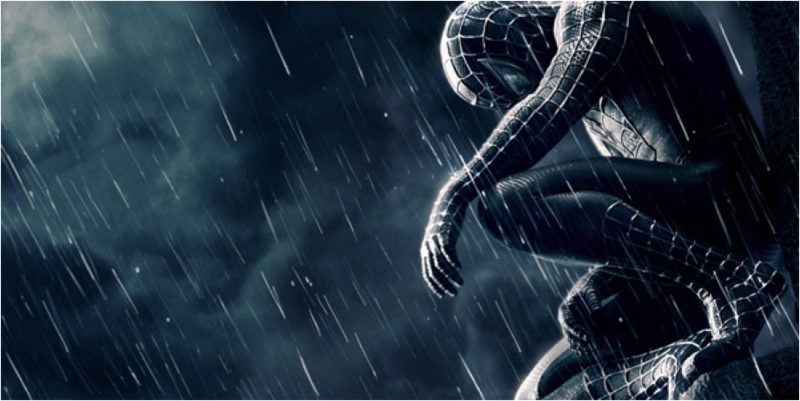 Spiderman is afflicted not only with superhero issues, but also the fact that he’s a teenager struggling through feelings of inadequacy, loneliness, and being obsessed with himself. Already an orphan being raised by his Aunt and Uncle, Peter Parker gets a heavy dose of reality when his carelessness leads to the death of his Uncle Ben. How fitting, that the very same uncle tagged the famous line; “With great power there must also come great responsibility”. Peter Parker, Spiderman – afflicted by irresponsibility. Superman, Ironman, The Incredible Hulk, Captain America — the list goes on and on and the afflictions follow right behind. But once you reach the end of the pages, or the credits roll…the hero has saved the day. They’ve got problems, and so do I. Sometimes I can get wrapped up with all the crap that I’ve got going on in my life and I can forget the battle that I’m fighting. Each of these characters come out victorious because, although they’re afflicted, they’re also reminded of the battle they’re in. They fight because they’ve identified that there is something worth fighting for. Many of us walk around thinking that all we see in front of us is all there really is to the story. I’m glad Jesus didn’t do things that way. Jesus Himself was afflicted with the knowledge of what He would have to endure to “save the day”. He remembered that there was a very real battle going on all around him and He didn’t ignore it. Jesus faced that battle head on realizing full well that He was going to be killed in the process…but He found that fight worthwhile. Because He was fighting for us. We were worthwhile. We were worth dying for. I’ve got stuff just like you do, and if you think you don’t…ask someone else what your stuff is. They’ve probably been wanting to tell you. Don’t ignore the fight. Press into it.